Patients of Dr. Kripsak are assured of receiving well-managed comprehensive care, particularly for sports-related conditions and injuries. What sets him apart from other sports medicine physicians is his use of nonsurgical options for healing that significantly reduce risk of complications while expediting recovery time by as much as 50%. They also are less costly and less invasive than traditional surgery. 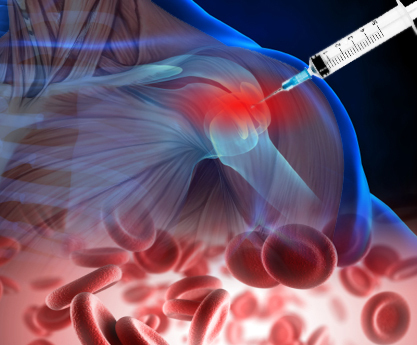 These advanced office-based treatments—bone marrow aspirate concentrate, platelet-rich plasma (PRP), prolotherapy and viscosupplementation—involve the injection of specially prepared solutions to effectively promote tissue repair and regeneration and relieve pain and suffering. In many cases, this repair and regeneration might not occur on their own. The vast majority of patients undergoing these procedures experience dramatic improvement in mobility and function. Dr. Kripsak develops individualized treatment plans that may use different regeneration therapies either consecutively or in combination with one another.